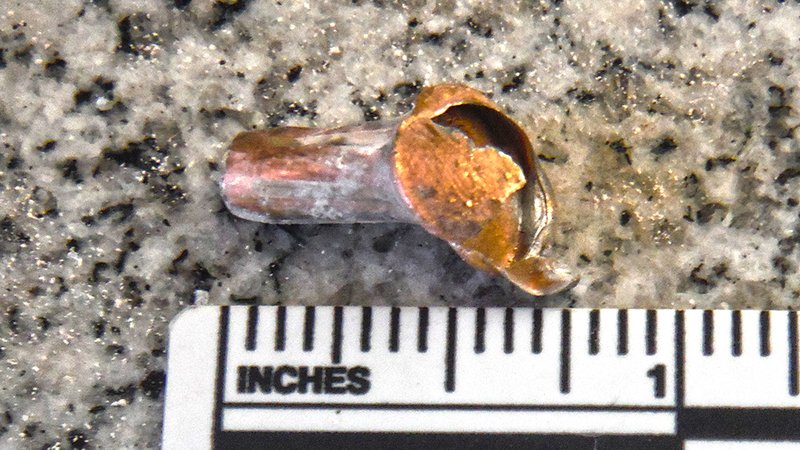 Neighbors along the Willamette River in Keizer turned out at the Keizer City Council meeting Monday, June 18, to ask for action in response to a bullet that traveled across the river from a shooting range into a Keizer home. For now, it seems the only action the city plans on taking is sending a letter and trying to keep pressure on Polk County officials to take action. On Saturday, June 2, four men were cited for reckless endangering after a bullet they fired from a quarry being used as a shooting range – located across the Willamette River in Polk County – penetrated the exterior wall of a home in the 1300 Block of Raphael Street North and stopped only after striking a backsplash located in the kitchen of the home. One of the homeowners was in the kitchen at the time of the incident. Keizer residents along the river have requested action twice in the past year. The first time, in September 2017, residents were responding to bullets that strafed trees in Sunset Park and caused park users to flee into the neighborhood. A Keizer police sergeant met with the owner of the quarry, Lance Davis, after the September incident and signs were put in place to alert range users to the residences across the river. But, the latest incident resulted in City Attorney Shannon sending a letter to Davis. In addition, Clark read into the record a letter from Polk County Sheriff Mark Garton sent to Polk County Commissioner Craig Pope. Keizer Police Chief John Teague said neither Keizer police nor the Polk County Sheriff’s Office have leverage in terms of criminal activity other than what’s already occurred. The homeowners are reportedly looking at what can be accomplished through the courts.